It shouldn’t be newsworthy in this day and age but it is impossible to ignore and important to recognise this does mark the first time that a black actor has played the title role in Hamlet at the RSC in the 50+ years since its founding. 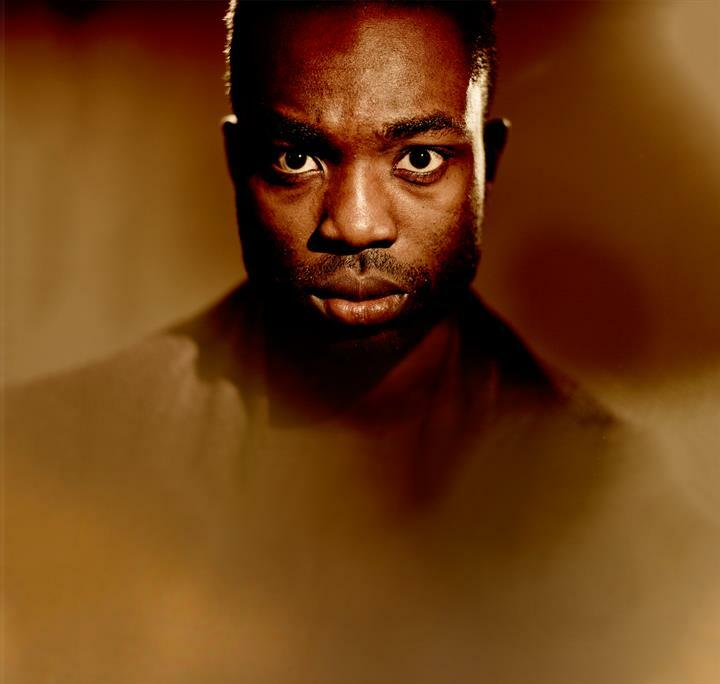 The task falls to 25-year-old Paapa Essiedu (last seen at the Royal Court but most memorable from the Finborough’s Black Jesus) in Simon Godwin’s production, which relocates the play to West Africa. It is an interpretation full of bold choices – opening at Hamlet’s Wittenberg graduation ceremony whose celebratory mood is shattered by his father’s funeral cortège scything through the stage – and largely successful, underpinned by Essiedu’s assuredly capricious performance of impulsive exuberance. This Hamlet is a lover not a fighter, an artist rather than a soldier, youthfully funny but full of a student’s swagger rather than lived-in experience. What works really well is the sense of dislocation here, the realities of court life are miles away from Hamlet’s Western university experience and that cultural shift is crucial in the identity crisis that Essiedu shows us so fluently, his hands constantly reaching out into the air as if to reshape his world into something more recognisable. It’s no accident that when the ghost of his father (Ewart James Walters) appears, it is in tribal robes, and it’s a train of thought that finds eloquent echoes in Lorraine Hansberry’s Les Blancs, soon to open at the National. 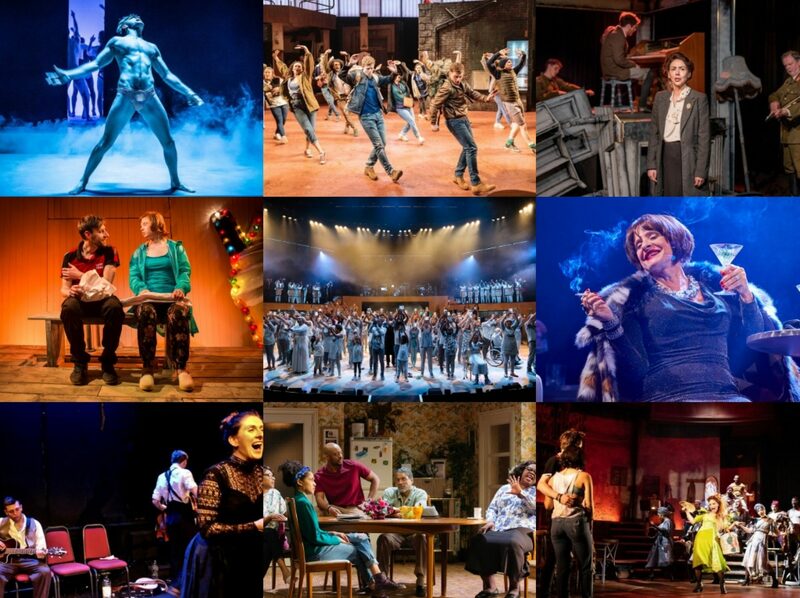 Beyond that, the production could benefit from some dramaturgical clarity though. It’s never abundantly clear just what “the state of Denmark” is here – the military uniform of Clarence Smith’s Claudius suggests a police state but Cyril Nri’s excellently garrulous Polonius seems way too chipper for that. And you feel more could be made of the post-colonial setting to really investigate its legacy here – as it is, the shift from guns to fighting sticks (instead of foils) feels rather abrupt, even if the drumbeats of Sola Akingbola’s insistent live music taps into something elemental about Africa and its extraordinary history. There’s plenty of fascinating character work to compensate though. Tanya Moodie’s imperious Gertrude is a fearsome presence, her regal strutting is quite something to behold, but she unravels movingly as ghosts begin to haunt her too; the raw pain of Natalie Simpson’s superb Ophelia sees her literally tear the hair from her head to give out as the herbs, that anguish finding a stunning mirror in Hiran Abeysekera’s Horatio whose final moments linger long in the mind. There’s barely time to mention the gravediggers pass their time with calypso song and dance, Rosencrantz and Guildenstern as tacky gift-bearing backpackers (great work from James Cooney and Bethan Cullinane), the vividness of The Mousetrap and Paul Wills’ design. A thoughtful and thought-provoking Hamlet, and another step in the right direction for the RSC.